I have upgraded to Parallels Desktop 12 for Mac, and now I cannot keep changes to scaling settings in Windows virtual machine. After I log in to Windows again, scaling is back to 200%. 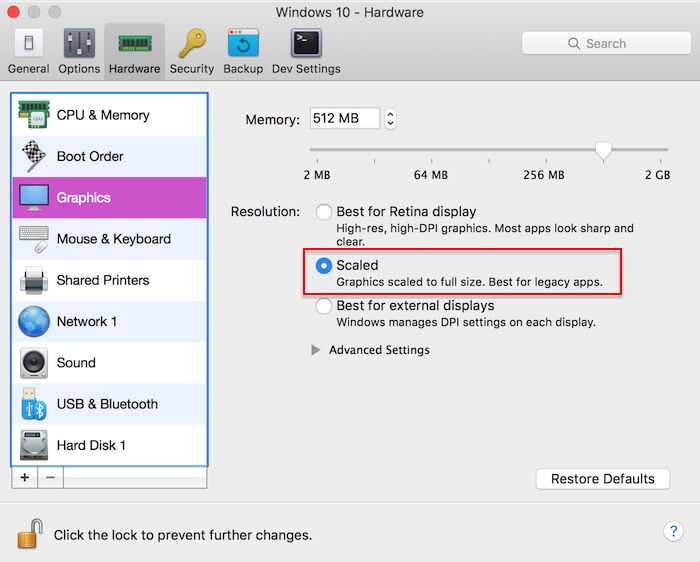 To improve dynamic resolution of Windows virtual machine on Retina display in Parallels Desktop 12 for Mac, 'Best for Retina' option is now keeping the resolution scaling at 200%.